Everyone can draw! 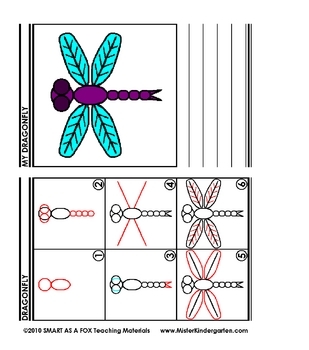 Just as children learn how to read and write, they can learn to draw! 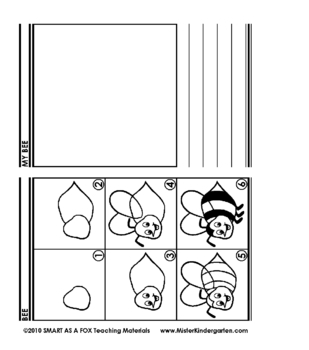 These simple, 6-step lessons make drawing easy and fun! 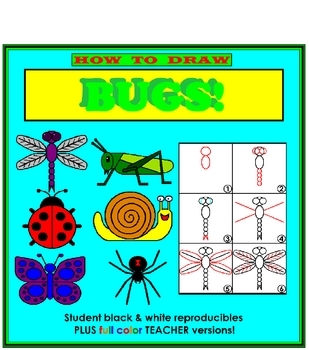 Each page shows the step-by-step process and includes space for the student to draw as well as write about their artwork, thereby turning this into a writing activity as well! BONUS! 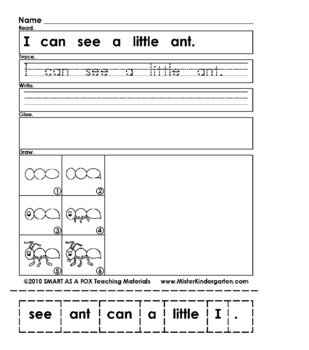 For each bug, there is a cut and paste activity with sentences containing essential sight words. Example: "I can see a little ant." "I like the cute ladybug." "Here is a fast snail."